A place that creates a positive, welcoming impression and that is a pleasure in which to work. That’s the perfect office! These are also the values that the modern office moulds itself upon. If you are seeking to create a workspace that is a benefit to your business, your visitors and your staff, looking at modern trends in office design is a good place to start. So let’s take a look at the latest trends in office layout, furniture and décor and how everything fits into today’s working methods. Today’s workforce is way less static than its predecessor. Hot desking; flexible working with time split between office and home and the rise of BYOD with staff working on their own laptops and tablets have all had an effect on modern office design. So now we have breakout zones where staff take time out to think quietly in their own space or get together for a brainstorming session; height adjustable desks that can be altered to suit the different hot-deskers who use them, and sit-stand workstations for those who like to change-up how they work, or who are just passing through. Laptop users have different needs to desktop PC users. Somewhere comfortable to work is vital to avoid the health issues connected with poor posture that often results from using a laptop at a regular workstation. Laptop stands are the perfect addition, but ergonomic desk chairs that adjust to suit the precise needs of the user and that are designed to prevent back and neck pain and headaches are one of the most popular features of a modern office. The working environment has evolved to become more fluid, with freedom of movement actively encouraged to help inspire creativity at work. Open floor plans lend themselves to the sharing mind-set that today’s office workers have come to adopt. Naturally, privacy is an important consideration, but that can be dealt with by introducing privacy screening and segmented meeting rooms where necessary. 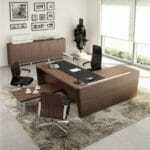 The modern office makes best use of prevailing technology. In fact, keeping up with technology trends is a key factor in achieving a contemporary working environment. 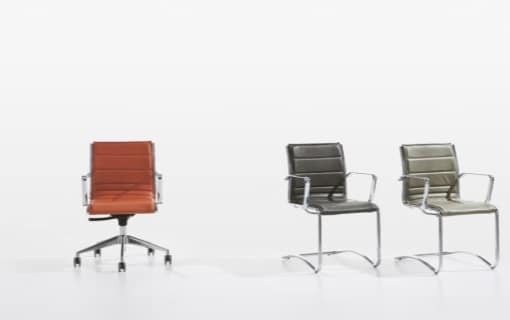 A look around a progressive office for example will reveal minimal storage, because the digital age has significantly reduced the need for paperwork and stationery. For this reason, today’s offices are more spacious and generally clutter-free. This type of setting is far more likely to inspire health and happiness in the workplace, and will in turn help to boost productivity and morale. Digital storage also leads to less waste, which is a clear environmental benefit. Plain white or magnolia offices may have been the mainstay of 1990s working life, but these days it’s bright colours that take centre stage. A lively working environment is way more inspirational than a bland one, and is also a great deal more appealing to visitors. Colour blending is vital. 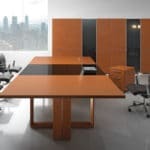 Be sure to choose office furniture that works with your décor and, if you have corporate colours, try and streamline all of that too. Colour clashes are a complete no-go because they could actually have a detrimental effect on productivity. 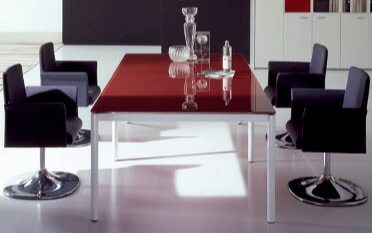 Most office furniture is available in a range of colours, so finding the right complements should be straightforward. Nature is a well renowned source of inspiration and known for its calming effect. Your modern office should feature a good selection of plants and floral features. Not only will staff appreciate the relaxed environment, visitors will also be impressed with the colourful welcome. 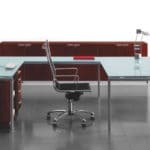 There is ample choice when it comes to office furniture, but if you really want to go super sleek, you should give serious consideration to Italian office furniture. 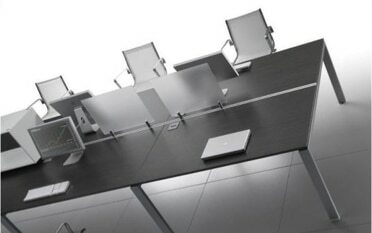 Sophisticated, elegant and luxurious, you will find a host of boardroom furniture, executive, bench and cluster desks and storage solutions, all of which are designed with ultra-modern features, perfect for your modern office environment. 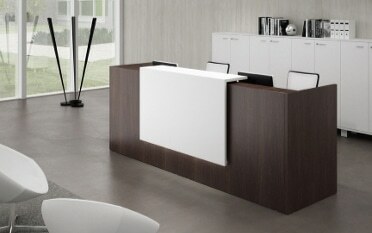 Achieve a modern office with help from Tag Office! 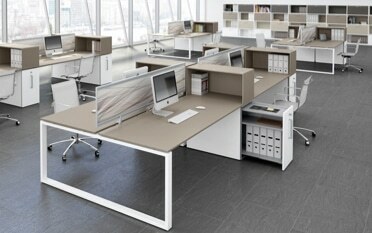 The modern office is an achievable goal with help from Tag Office. 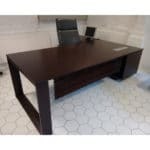 With many years’ experience in outstanding office furniture, including a number of exclusive Italian collections that you will find difficult to source elsewhere, we are well primed to assist you in your quest to bring your working environment into the 21st century. Why not talk to us today? We look forward to assisting you! 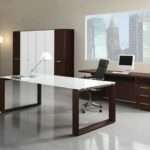 Posted in Breakout Zone, Height Adjustable Desks, Italian Office Furniture, Office design ideas, Office Desks, Office Seating, Office Storage, Sit-stand Desks and tagged Italian office desks, Italian office furniture, Modern desks, modern office design, modern office design trends, Modern office desks, modern office trends, office furniture trends on 16th November 2018 .